Mechanical testing provides insight into the material properties associated with your product. 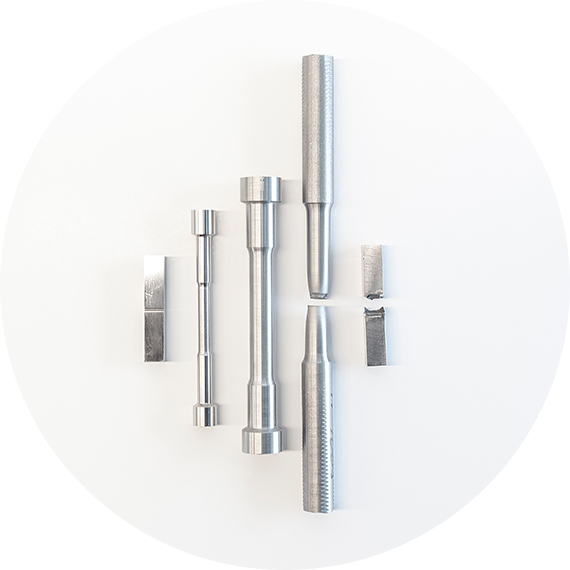 Properties such as Tensile Strength, Yield Strength, Elongation, Reduction of Area, Impact Strength, and Hardness are gathered to help with design factors or process auditing. The various testing associated with each property is carried out with specific sample geometries and testing constraints. When you work with Titan Metallurgy, you can be sure your metals testing meets common ATSM international standards and is completed on time and on budget. We offer mechanical testing most commonly to the standards below. If you don’t see what you are looking for, ask and we may be able to accommodate other specifications as well.